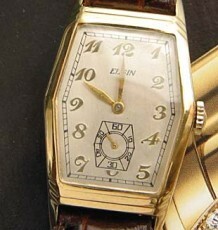 Wonderful gold filled flared case with 2 tone bowtie dial and high grade 21 jewel movement. This stylish design by Lord Elgin roughly dates to 1945-46. The flared case has dramatically pointed lugs that symmetrically taper back into the case middle. The case is 14 karat gold filled and does not have any wear through on the capping. One of the most appealing features of the watch is the all original bowtie pattern 2 tone dial that has a diamond shaped sub-seconds chapter. 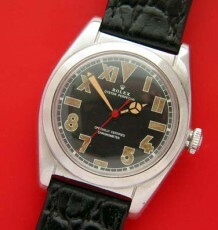 Note the diamond shaped seconds hand. Another curious detail that one can see on the dial is the double hash marks raised up at the even numbered Arabic numerals on the left and right hand side of the dial. 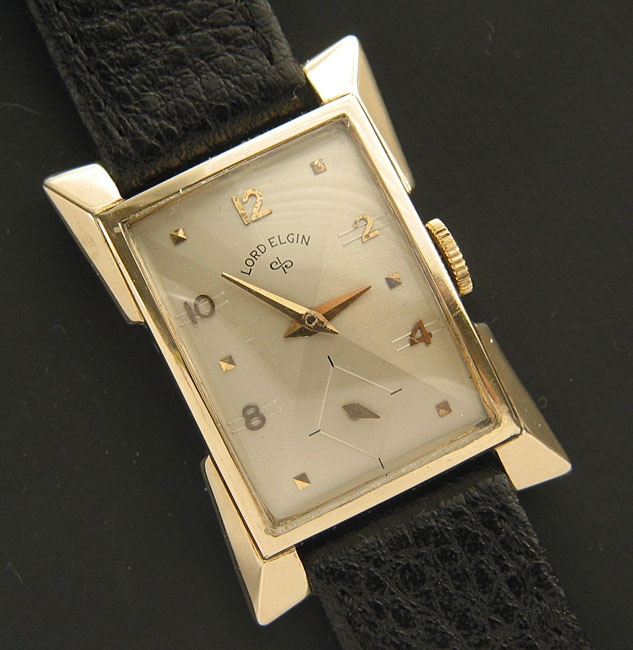 The 21 jewel movement is in pristine condition having just been serviced and is running well. The crystal was just replaced with an original type curved mineral glass unit. The combination of esthetic beauty and technical merit of this high grade US made 21 jewel watch, is unlike any other watches I have seen in a long time and at a relatively affordable price. 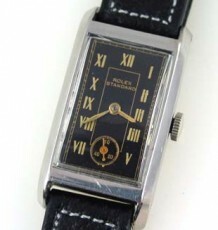 The watch measures 25 mm wide at its widest point and 36 mm long. 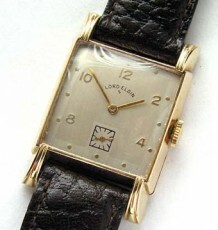 Vintage Lord Elgin with fancy case.